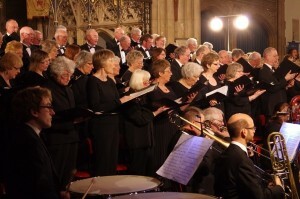 Welcome to the Warwick and Kenilworth Choral Society (WKCS) web site. We are a friendly non-auditioned choir presently boasting around 60 – 70 members. We are always pleased to see new members, and perform four concerts each year, ‘These include our performance of ‘The Messiah’ which we do each December. It is a very popular tradition. 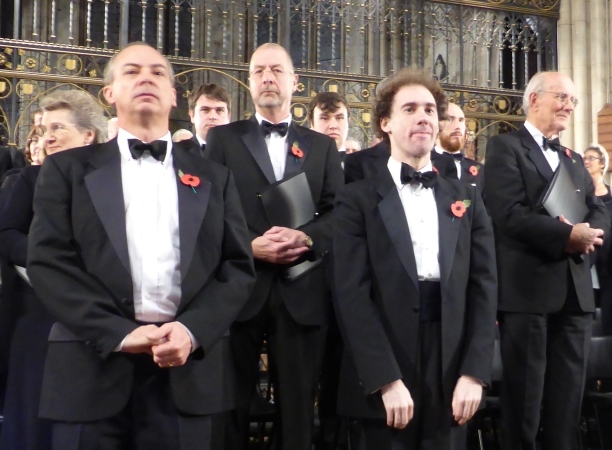 The WKCS was formed in 1953 following the joint Messiah concert held by the two separate choirs of the Warwick and Kenilworth societies in May of that year. The newly formed choir gave its first concert, a performance of Bach’s Christmas Oratorio under the baton of ‘Tim’ Tunnard, on New Year’s Day 1954 at St Mary’s, Warwick. The WKCS is proud to have just completed it’s 65th season as a combined choir. We also hold many fund-raising events during the year, including a weekly raffle; past events have included cd and book sales; coffee mornings, a quiz night and other social gatherings. Please click here for details of forthcoming concerts. We are a registered charity and are grateful to our subscribers and sponsors for their continued support. The Society is affiliated to the National Federation of Music Societies (now known as Making Music), which represents and supports amateur vocal, instrumental and promoting societies throughout the United Kingdom. Please support the choral society by buying products via this link to Amazon. The society receives a referral fee at no extra cost to the purchaser!